Princess Diana wore feminine dresses and flamboyant hats when she first entered the public eye, but as she settled into her role as a working royal she began to put her own unique twist on eighties power dressing wearing impeccably tailored skirt suits in vibrant colours. 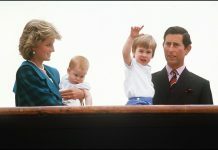 The Princess of Wales caused a stir in 1990 wearing a navy double breasted suit to an evening function at The Prince’s Trust and this marked the first occasion that a senior royal had worn trousers to an evening event. As a result, Princess Diana was regarded as a serious fashion risk taker, who shook up the sartorial protocol. 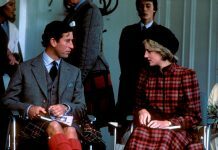 Diana’s influence on power dressing can be felt to this day, and with skirt suits making a return to runways and consequently to our wardrobes, her fashion clout shows no signs of waning.